FAQs — TARGET BROKERAGE INSURANCE CORP.
What type of policies can I get? 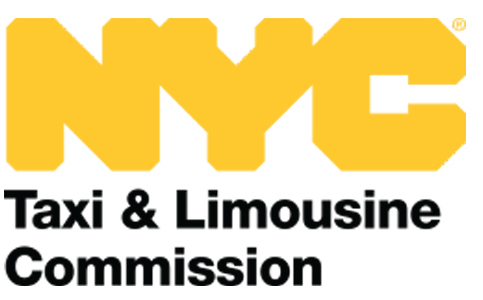 Currently we support liability and physical damage policies with the minimum limits of insurance as required by the NYC Taxi & Limousine Commission (TLC) for FHV vehicles such as Black Car, Livery, Car Service, Street Hail Livery. These policies are also compatible with ride sharing / Transportation Network Company (TNC) apps such as Uber, Lyft, Gett, Via, etc. Do the policies sold through Target Brokerage fulfill the TLC insurance requirements? Yes! Policies sold through Target Brokerage fulfill the minimum levels of coverage for For-Hire Vehicles (FHV) with 1 – 8 passenger seating capacity. Do the policies sold fulfill the FHV insurance requirements for my base or app? Most likely, yes! If you drive for a Black Car, Car Service or another FHV base, we comply with the TLC minimum levels of coverage. Uber, Lyft, Juno, Via drivers are typically only required to carry the minimum levels of coverage available through our app. We provide proof of your coverage to the TLC and your base/app, if they ask for proof. Please contact us if you would like to add your base/app for proof of coverage verification. Green taxis, also known as Street Hail Livery (SHL) or Outer-Boro taxis are also supported. If your vehicle has seating for more than 8 passengers or is affiliated with a Luxury Limousine, Commuter Van or Paratransit base, you may need custom coverage. Please contact us to find out more. What if I have an accident or need to make a claim? In the event of an accident or to make a claim, please phone: 718-238-8742 or email: info@targetbrokerage.com. Support is provided 10:00AM - 5:00PM Monday to Friday, & 10:00AM - 3:00PM Saturday. An FH1 is a certificate that must be presented to the DMV, TLC or a police officer to show proof of insurance coverage. Proof of insurance coverage must be carried in the vehicle at all times. New York State’s Department of Motor Vehicles (DMV) recently passed regulations allowing electronic proof of coverage. You can view an electronic version of the FH1 certificate which can be presented within the app or printed at your convenience. What follow up documents will I need to provide? Base affiliation proof (If you are already on the road this can be a diamond or TLC vehicle license. If you haven’t registered, your black car or livery base can provide a letter. Can I have more than 1 person driving my vehicle? Yes, we can arrange this for you. What if I have a question and need to speak to a broker? Just call, chat or email our licensed reps anytime, they will help you at any time. What if I need to make changes to my policy? No problem. Most changes can be made on our website. For help, feel free to contact us. A typical TLC liability policy only covers property damage to other vehicles involved in an accident. If there is an accident and there is damage to your vehicle, you would not have any coverage to repair the vehicle unless your policy has collision (sometimes referred to as “full coverage”). We also sell a combined policy that covers collision, as well as fire and theft to your vehicle. Please contact us the team for more info. What is supplemental uninsured/underinsured motorist coverage? Supplemental uninsured/underinsured coverage adds additional protection to the uninsured coverage and is an optional coverage. Uninsured motorist coverage protects you in case there is an accident involving an uninsured vehicle (you will be surprised how often this happens!). The minimum limits of coverage in New York State are $25,000/$50,000. This means the insurance carrier will pay a maximum of $25,000 for any one person or a maximum of $50,000 for two or more people. What is property damage coverage? Property Damage (PD) liability covers claims as a result of damage to others’ property (such as a vehicle). The coverage includes legal defense for you as a result of a lawsuit. The minimum limits of Property Damage liability mandated by the TLC are $10,000. This means that the insurance carrier will pay up to $10,000 for any property damage claim as a result of an accident. Always check your policy for exact language of coverage and limits to ensure accuracy. Bodily Injury (BI) liability covers bodily injury claims from other parties as a result of an accident caused by your automobile. The coverage also includes legal defense for you as a result of a lawsuit. The minimum limits of Bodily Injury liability mandated by the TLC are $100,000/$300,000 – this means that the insurance carrier will pay up to $100,000 for any one person injured in an accident and up to $300,000 for two or more people injured in an accident. Always check your policy for exact language of coverage and limits to ensure accuracy. Personal Injury Protection (PIP), sometimes referred to as “No Fault” is coverage provided on a standard auto liability policy that covers medical expenses, lost earnings and other related expenses for drivers, passengers and pedestrians. Please note that drivers for TLC vehicles may be ineligible for this coverage. Drivers affiliated with Black Car Bases (such as Uber, Lyft, etc) are typically covered under the Black Car Fund, see here for more information. Drivers affiliated with a Car Service/Livery Base (most Green Taxis) are typically covered under the Independent Livery Driver Benefit Fund (ILDBF) – see here for more information. These funds provide similar, but not exact coverage as PIP. Make sure you review your base’s membership, coverage, exclusions and terms. For the most comprehensive driver coverage, you may want to consider workers compensation insurance. Feel free to contact us for more information. What doesn’t a typical TLC insurance policy cover? There are various exclusions on a liability only policy that should be reviewed, however, one that many drivers may find surprising is that there is no collision coverage. This means if you get into an accident and need to repair your vehicle, you will need to pay out of pocket for these expenses. We recommend that you purchase a collision policy to cover these types of claims – you can contact us for more information. If you get into an accident (see here for a guide) and you were not at fault, you can typically file a third party property damage claim against the at fault party. What does a typical TLC insurance policy cover? The minimum requirements for registering a TLC vehicle include liability coverage, Personal Injury Protection (PIP) and uninsured motorists coverage (UM) – the combination of these coverages are typically referred to as a liability policy. This type of a policy will cover you (the insured) against claims and lawsuits for bodily injury and property damage to others up to the limits on your policy. There is also coverage for medical expenses, lost earnings and other related expenses for drivers, passengers or pedestrian under Personal Injury Protection (PIP) coverage. This is a summary only, the actual policy should be reviewed for details on any coverages, limits or exclusions. Our carriers do not rely on credit scores to determine your premium rates or eligibility for policy issuance. Can I still get TLC insurance if I have a DUI/DWI on my record? Yes we are still able to help. What is driving defense course (DDC)? A driving defense course is an online or classroom driving safety class offered by various companies throughout New York State that are approved by the DMV. TLC drivers are required to complete a driving defense course at least once every three years, see here for more information . Not only will the class make you a safer driver, but you will also be eligible for a 10% discount on your insurance premium. The inshur app automatically checks to see if you are eligible for this discount. Drivers with licenses outside NY may need to upload a certificate proof of course completion. You can find online courses here. How old do I have to be to get a TLC insurance policy? Our insurance companies typically require drivers to be at least 18 years old. If you are younger, please contact us and we can help you. What are the insurance requirements outside of New York City? Each municipality has different requirements. 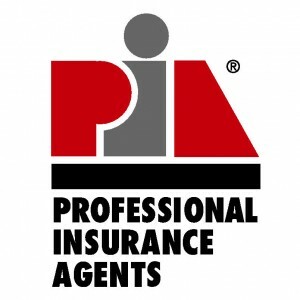 Can I use my private insurance policy in New York City? No, New York City requires a commercial auto liability policy. You can purchase a policy through Target Brokerage. What are the NYC insurance requirements for TLC (Uber, Lyft, Juno, Via) drivers? TLC apps such as Uber and Lyft have the same insurance requirements as all TLC registered vehicles. We provide proof of coverage to your base. What are the NYC insurance requirements for TLC vehicles? TLC vehicles with up to 8 seats affiliated with Black Car or Car Service Livery bases must have the following insurance coverage. What is a motor vehicle law enforcement fee (MVLE)? The New York State Department of Motor Vehicles (DMV) charges a $10 fee for each vehicle on the policy. Anytime a new vehicle is added or replaced, there is another $10 MVLE fee incurred. What kinds of discounts do you check for? Each carrier has different discounts for different types of policies. We always to make sure you get every discount you are eligible for. See our guide on how to lower insurance premiums here. Why do some payment plans have installment fees? Some insurance carriers charge per installment fees, usually you can waive these fees by paying the entire premium bill upfront. How can I lower my insurance premium? Payment for your insurance can be made using a credit card, debit card or checking account. We also support Apple Pay and Google Wallet payments. How do I register a TLC vehicle? You will need to affiliate your vehicle with a TLC base and schedule an appointment for a TLC vehicle license. Please see here for more information. How do I get a TLC FHV, Hack or Universal license? What is a FHV or Hack license? An FHV or Hack license, is a TLC issued professional license allowing the operator to drive For-Hire Vehicles in New York City. Prior to getting a TLC license, you must ensure that your NY DMV license has an E-Class or CDL designation. You can get more information here – https://dmv.ny.gov/forms/mv44.pdf and https://www1.nyc.gov/lars/. What is a TLC base? A TLC base can be a Black Car or Car Service Livery dispatch base. Bases have various requirements and are responsible for pre-arranging rides for TLC FHV vehicles. TNC apps such as Uber and Lyft typically fall under the TLC Black Car Base designation. A TLC/FHV vehicle must be affiliated with a base prior to conducting business. What is a TLC or FHV vehicle? A For-Hire Vehicle (FHV) is a commercial vehicle affiliated with either a TLC Black Car or Car Service Livery base. Passenger pickups must always be pre-arranged, unless the vehicle is a Street Hail Livery (SHL) also known as Green/Outerborough taxi. SHL taxis must only hail passengers in designated areas. Medallion taxis / yellow taxis are another class of TLC licensed vehicle that are permitted to hail passengers from the street anywhere in the city. TNC apps such as Uber and Lyft typically fall under the TLC Black Car designation. © 2019 TARGET BROKERAGE INC. ALL RIGHTS RESERVED.